Waves of mourning abide with me. I cherish the many aspects of mourning a loss. Tania touches on this vulnerable topic none of us will escape. To all those going through loss, one of the facets of love is to experience loss. It’s humbling and all encompassing. Love you Tania and Nestor. Yes, yes and more yes! Thank you Tania Marie! This post from my dear friend Tania Marie speaks to all those that came into this life as the truth mirrors for others I just recently understood that I am one of these beings. It’s been challenging when I was in the dark of not realizing this most of life But now that I do it brings the puzzle pieces together in a profound way. To be a mirror is to be of service to humanity in a very unique and blessed way. As Tania speaks of it being a blessing it truly is. Also those who truly see you beyond the mirror reflection are special indeed and very appreciated. To some extent my love of animals and their love of me comes from them seeing beyond the mirror. There were many times in my life I said they are not seeing me Who are they seeing? It is their thoughts, their perspective, their beliefs that are being magnified. For many years it has felt like a lonely existence. Now as i have begun to integrate my understanding of this gift so much is expanding in my world. We each play our part in assisting one another to become who our soul knows we are. I am so thankful for this post by Tania and the discussion we had about this recently. Love to all who walk this path and those that encounter us. As I’ve been exploring Arches National Park in Utah and all of its window portals, I’ve been reflecting on how some people embody the energy of being walking mirrors for others in a deeply profound way. True, we and all things are mirror reflections to learn from, but there are some souls that hold this energy in a dramatic way that can be challenging for both the person carrying it and those that experience it. It is to you – the truth mirrors – that I share my loving support and this simple, quick message, knowing the challenges of this path, letting you know you are not alone and that your embodiment of this truth mirror is a powerful gift once recognized and embraced. Sorry to hear of its closing at this location. It’s a special place. When I lived in Kona in the late 70’s it was Huggo’s. Loved the location right on the water. Blessings to all. Good memories for Kauilapele. 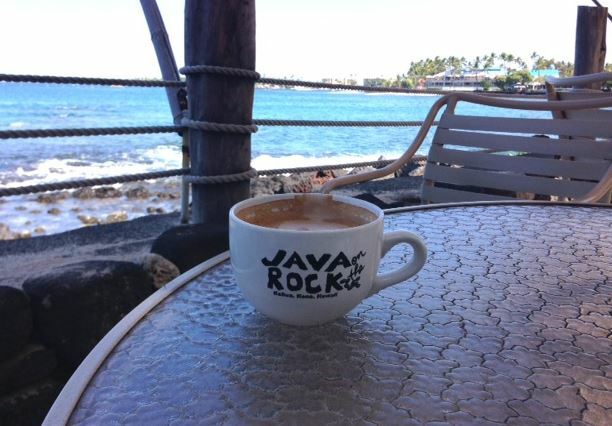 I had resisted mentioned anything on the blog about Java on the Rock closing, until I was sure it was really going to happen. Their last day of operation is 4-30-16. Actually, they are moving to another location, probably where Lava Java is currently (they are moving to a nearby building). It’s across the street from where the cafe is currently. As I understand it, the owners of the property (Huggo’s) terminated their lease. They had been there since 1999, the year I arrived in Kona. Java on the Rock has been a very important and healing place for me for the past several years, and an important part of this blog. Although they will be opening in another location nearby, it will never be quite the same here in Kona without them at their oceanside spot. Saw this a couple days ago. Seems like Costco is headed in a direction we can benefit from. And perhaps will upset the GMO-with-added-pesticides-for-profit-at-our-expense crowd. “…Costco is finding new and creative ways to meet its customers’ growing demand for organic produce. Organic foods is one of the fastest growing categories in food sales, and Costco is really trying to keep pace with this exponential increase in demand. “According to CEO Craig Jelinek, “[Costco] cannot get enough organics to stay in business day in and day out.” Therefore, the new strategy involves Costco actually playing a part in building this food supply, and the company is developing a variety of initiatives to help boost the supply of organic food.